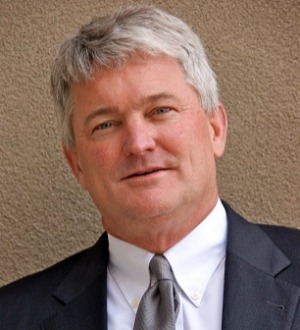 F. Michael "Mike" Hart joined the firm in 1990. He has served the Albuquerque community for most of his life. A graduate of the Albuquerque Academy and Harvard University, Mike has focused his work on helping children,families and victims of negligence and abuse. He worked for the New Mexico Department of Human Services (now CYFD) for two years. He is a past president of the New Mexico Trial Lawyers Association, and has been an active member of numerous dedicated organizations, including the AAJ, the New Mexico Trial Lawyers Association, National Crime Victim's Bar Association, National Center for Victims of Crime, National Crime Victims law Institute, American Professional Society on the Abuse of Children, the Child Welfare League, the International Society for Prevention of Child Abuse and Neglect, the Juvenile Justice Act Advisory Committee, Human Rights Advocacy, Inc., the Sexual Assault Nurse Examiners Board of Directors, and the Professional Society on the Abuse of Children. Mike prosecuted child abuse and neglect cases for the State of New Mexico Human Services Department prior to joining the firm and lectures on topics related to the legal issues surrounding crime victims' civil rights, and especially child abuse. He and his firm dedicate a great deal of their practice to the representation of crime victims. These claims arise from homicides, rapes, sexual assaults, batteries and other felonies, and are lawsuits brought to recover damages from the offenders and others who had a duty to protect the victims from the injuries and damages caused as a result of the crimes. Outstanding lawyer (2000) Albuquerque Bar Assn.